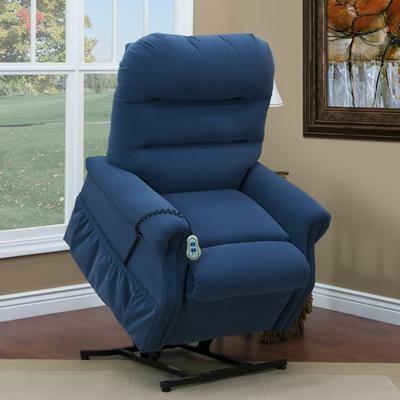 The model 3053W from features chaise pad, moveable infrared heat, Ultra-Ezz III Massage and Snap on Head pillow. 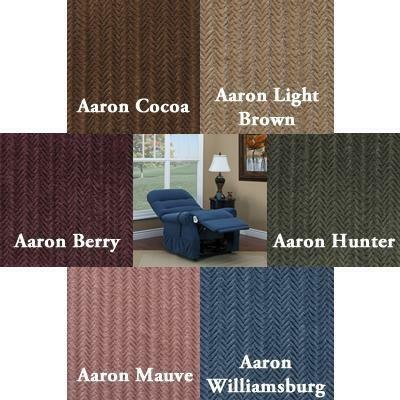 Manufacturer Material Standard Fabric: Level 2; Fabric Upgrade: Level 3, 4, 5 & 6; Customer Provided Fabric. 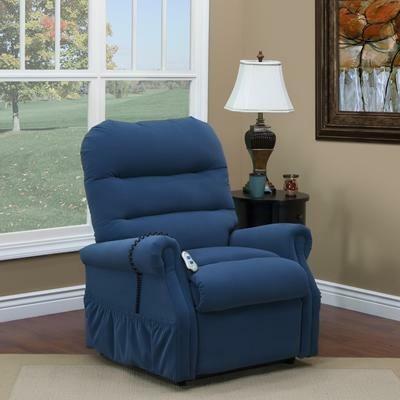 Additional Information Low Volt Quiet Motor; Fiber Filled Back; Acella-Flex Foam Seating; 5 No-Sag Seat Springs; Magazine Pocket on Right Side; Battery Back-up System; 2 Vib/Heat, 4 Vib/Heat, 6 Vib/Heat; Chaise Pad; Moveable Infrared Heat; Ultra-Ezz III Massage; Extra Magazine Pocket; Extra Duty Hardware. 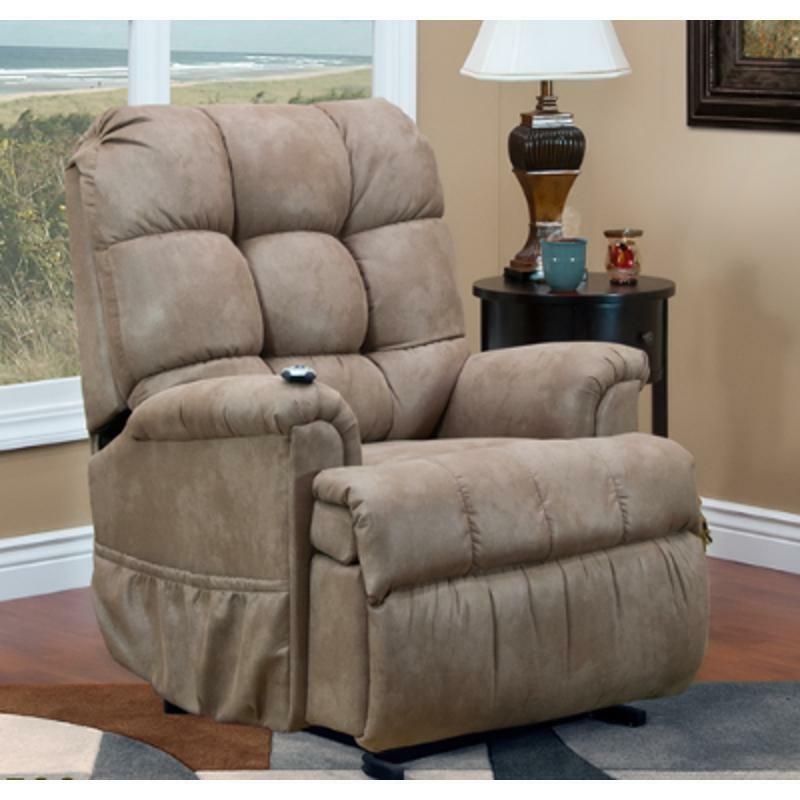 The 5500 Power Lift Chair offers a plush, waffle style back, pad-over-chaise, pillow arms and a magazine pocket on the right side.